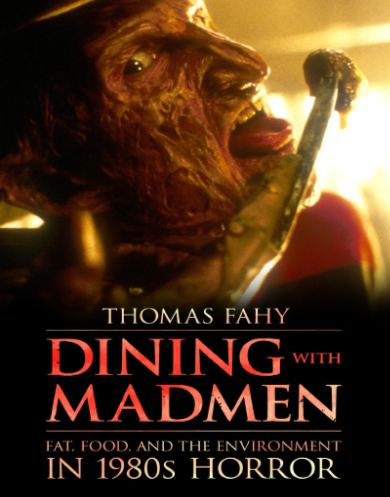 Thomas Fahy, associate professor of English, recently published a book with the University Press of Mississippi called “Dining with Madmen: Fat, Food, and the Environment.” The book is dedicated to exploring America’s preoccupation with body weight, processed food, and the transformation of the body and environment through the lens of horror fiction and film. Fahy’s book does not focus extensively on popular 1980s staples such as Freddie Kruger, Jason Voorhees, and Michael Myers. “The 1980s has gotten a little lost [in serious analysis] because it’s perceived as all surrounding these type of iconic bad guys,” Fahy said. Fahy considers the horror fiction and films of the 1980s to be deeply relevant to contemporary concerns. 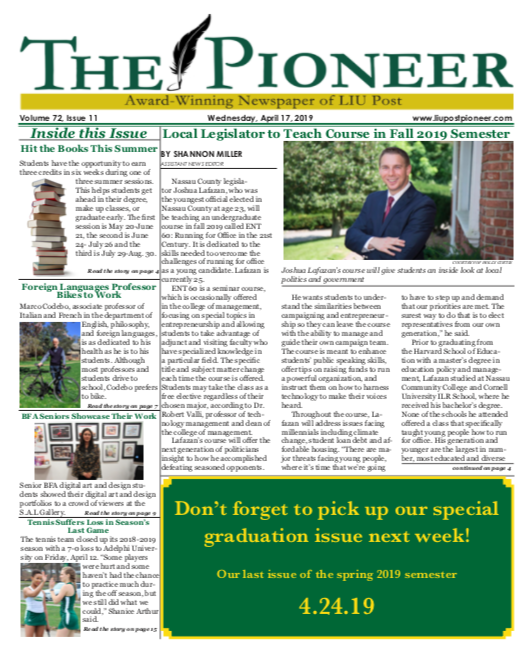 “Zombie fiction in the 1980s tends to address apocalyptic concerns about destroying the planet, or science run amok,” he said. Work like this raises questions about what we are doing about these problems individually, socially, and culturally. Fahy teaches ENG 2-014, ENG 2-018 – Writing II: Research and Argumentation and ENG 193: Writing Young Adult Fiction this semester. His book is available on Amazon.com.